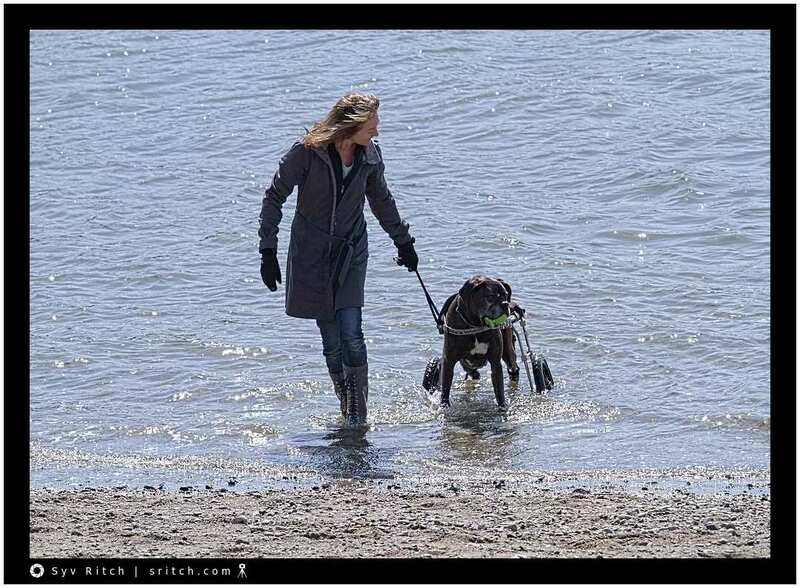 In spite of having to use a dolly, this dog wanted to go in the water, so she let him go into the sea. Notice her boots, leather and shoe laces. She is getting soaked. Take a look at her smile when she is looking at her dog! I don’t know if I would have the same courage.